« FREE Intuitive Reading – sign up! 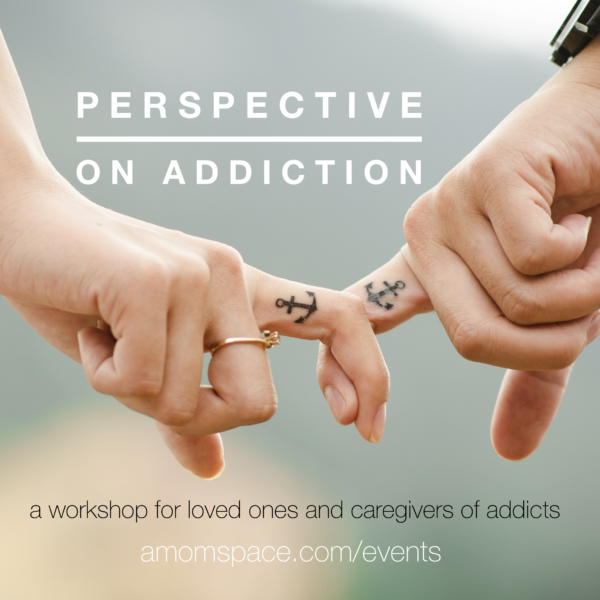 Please join us for a day filled with self-care to provide some new perspective and techniques for caregivers and loved ones of addicts. The day will provide discussion and teachings around energetic boundaries, and compassion vs. trying to fix. We’ll learn techniques around holding space and allowing for each individual’s healing journey, yours and others. We’ll also discuss some spiritual philosophies around what happens between body and spirit for the one afflicted with addiction. Participants will receive gentle personal care with Reiki and aura clearings at the end of the day if they wish. Come away with mindfulness meditation techniques, a new awareness of energy and spirit, and understanding of how this helps you and your relationships. In a world where a lot of shame can come up around this topic, we will hold a safe space of anonymity and openness. Pre-registration required by Wednesday, February 22nd. Space is limited. Please use tickets link below. There will be about a 1hr lunch break, please bring a sack lunch or plan to go to a nearby restaurant. Tekla Cook Ayers, Luz de la Luna Women’s Wellness. Tekla enjoys teaching groups using tools for self-care, like yoga, mindfulness meditation and Reiki and values the importance of people coming together to hold space and listen to each other’s experience, strength and hope, without trying to fix each other. She has been an active member of a 12-step program for people affected by the disease of alcoholism, for the past 7 years and incorporates the tools she learns from the program into her life, infusing the mindfulness and energy tools she has learned during her path of healing and growth. She brings her own experience with understanding the disease of addiction, while holding her own space and energy, being able to detach with love on an energetic level. Rt. Reverend Stacia Synnestvedt, The Meditating Mama. Stacia was trained as an ordained minister and Certified Intuitive teacher at the Church of Inner Truth in Santa Fe, NM, which is a non-denominational meditation center with a mission to teach practical applications of nonreligious spiritual principals which promote self awareness, healing and inner peace. She continues her own personal growth and advanced graduate level training to this day and was ordained a Bishop thru Psychic Horizons Center, The Church of Inner Light, in Boulder, CO. Stacia has a keen awareness of what happens between body and spirit in difficult situations, such as addiction, and her insights help people to understand their pain and find healing. She has a uniquely profound, yet simplistic, gift in explaining spiritual concepts in real-world ways that are applicable and easily accessible to many. Stacia works with clients as a psychic, an intuitive teacher & counselor, and energy healer to empower individuals to create deep changes within their life.